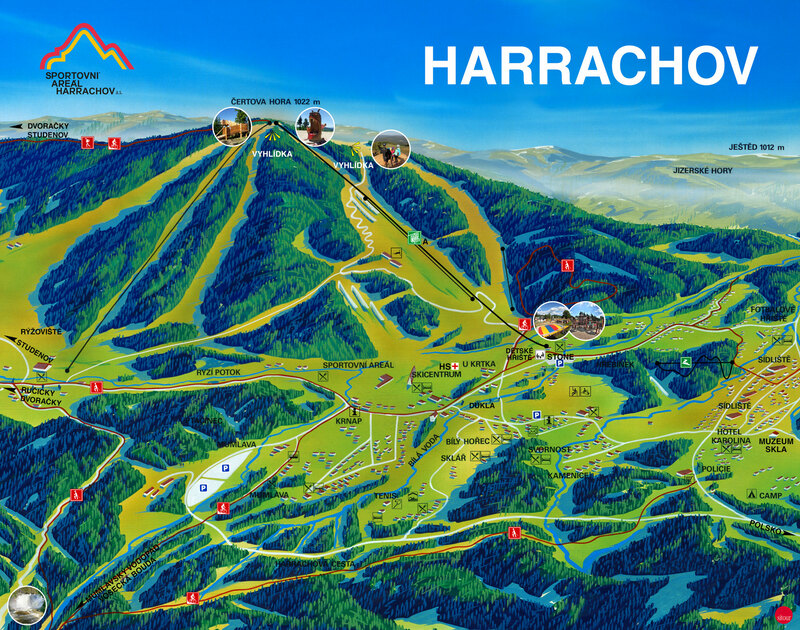 Welcome on the website of Sports facility in Harrachov where you can find numerous information regarding leisure activities, current temperature and webcams which include the viewers in ongoing happenings. 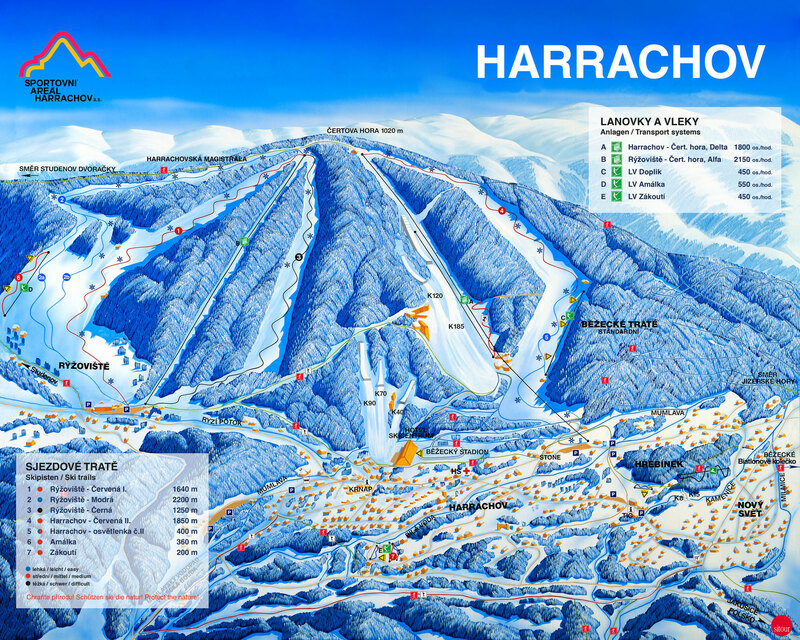 There are also additional activities, events and performances that are held in Harrachov. We will take you through ideal places for your trips. Harrachov lies in the western part of the Giant Mountains in the Giant Mountains National Park. From here it is only a stone's throw to the Jizera Mountains and to Poland. The splendid natural surroundings of Harrachov are undoubtedly its greatest treasure. Discover the magic of the Mumlava Waterfall. Get on a tour to the Elbe River spring. As exemplary visitors you will be rewarded by the natural beauty of the National Park. The town of Harrachov invites you for a visit to have an active or relaxing time. 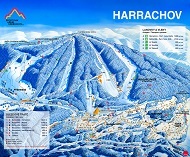 Use great variety of opportunities and services which Harrachov offers you during all seasons. HIKING TRAILS AND BIKE TRACKS, CYCLING TOURS, NORDIC WALKING  HARRACHOV Harrachov and its surroundings is one of the places with highest density of marked bike trails in the Czech Republic. Bike tracks and cycling tours are tempting due to the possibility to connect them with bike tracks in Jizera Mountains and in Poland near Sklarszka Poreba. 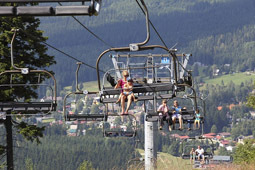 The ideal starting point for ridge walks and biking tours is the cable car in Harrachov that will take you up from the center of Harrachov to the top of Čertova hora (Devil´s Mountain). Our website provides you with numerous information on biking tours and touristic attractions in Harrachov and its surroundings. Everybody can choose a route depending on the required difficulty level. 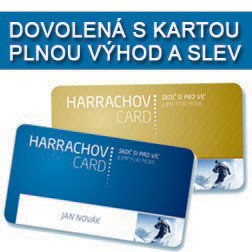 SKI JUMPS AND SUMMER JUMPS ON PLASTIC - ALL IN HARRACHOV NOW! We attach great importance to the quality of our services. We would like our customers to feel very satisfied in Harrachov so that they return to our town and spread good reputation of this beautiful place in the mountains. We are looking forward to your visit with the traditional motto "Come and stay!"